The kiwi is only found in New Zealand - and yes, the road signs actually exist for these flightless birds. During World War I, Australian soldiers called New Zealanders "Kiwis." Since then, the nickname is used to refer to all who hail from New Zealand. 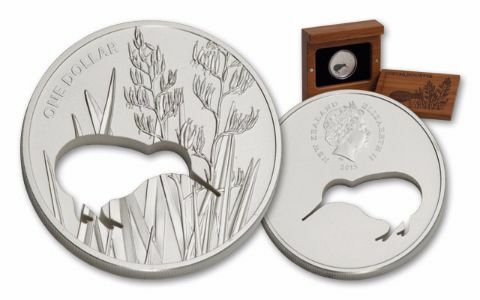 Each legal-tender 2015 $1 Kiwi Proof is struck in one ounce of 99.9% fine silver. 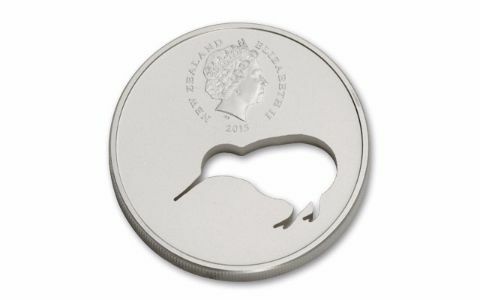 The laser-cut silhouette of a kiwi allows the design to flow from obverse where it is depicted foraging in flax, to the reverse where it passes below the portrait of Queen Elizabeth II. 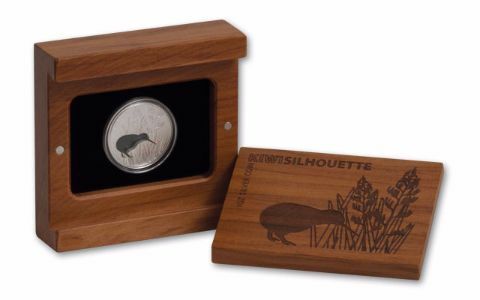 Each comes in a wood presentation case with a certificate of authenticity. 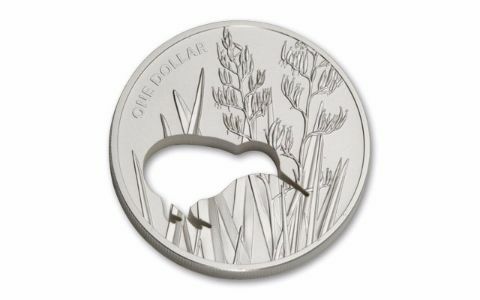 The mintage is strictly limited to only 2,000 - and unlike the kiwi, these proofs are expected to fly out of our vaults. Don't delay a minute longer. Order today!